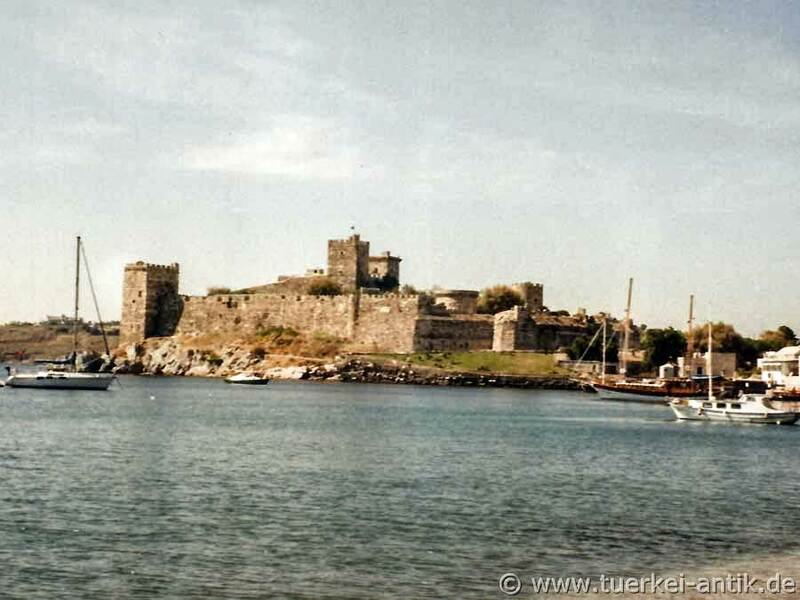 St. Peter's Castle was built by crusaders in 1420 and fell into the hands of the Ottomans without a fight in 1523 when the Johanniter abandoned Rhodes. 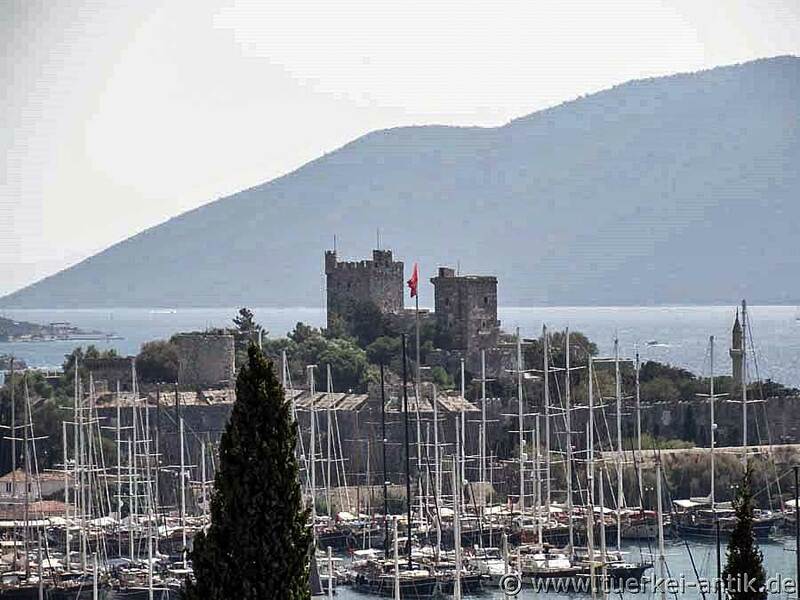 The Ottomans used it as a place for exile until the 20th century. The castle is almost completely preserved and can compete with the most magnificent knight castles in Europe such as Chillon or Château Gaillard, its weirs and towers are partly of Franconian, partly Byzantine origin. The construction of St. Peter's Castle is closely connected with the destruction of one of the wonders of the ancient world, the Mausoleum of Halicarnassus. In 1404 and, according to eyewitness reports once again in 1523, the existing mausoleum, which had been severely damaged by earthquakes, was demolished by the knights of the Order of St. John in order to obtain building material for the fortress of St. Peter. This act of destruction is understandable only in connection with the retreat of the crusaders from Rhodes, after they had already lost Cyprus and now had to surrender to the troops of Suleiman the Magnificent and leave Rhodes. One of the last Christian bridgeheads was hastily built here before the Knights of the Order finally withdrew to the island of Malta in 1530. Already in the older parts of the castle, built in 1404, there are architectural and relief pieces made of marble and the typical grey-green ashlar stones that made up the core of the mausoleum. It is certain that the final act of the tragedy of the wonder of the world "Mausoleum of Halicarnassus" did not actually take place until 1523. The fortress commander de la Tourette, who was in charge of repairing the castle, reported that after the discovery of the actual burial chamber, a large room furnished with marble, the relief slabs were smashed and the building demolished.